Life Unexpected: Shhh...Who Knows About You're Blog? I have used my personal Facebook (which my OH is a friend on) to pimp my blog and she hasn't noticed! I did everything back to front, I was on Twitter and Facebook as plain old me before I started blogging. I really started though a couple of parent bloggers being #ff'd to me and getting inspired by them. I've always written though, and normally ironic rants. If I was posting serious stuff I'd have to start a new secret one! Thank you! I think that is part of my reasoning behind it all. How did you feel when your sister shared the link on Facebook? You shouldn't be scared of judgement lovely, as long as you write your opinions and how you feel, you should be proud! My wife knows about my blog and my Twitter followers. I've not told my friends/ acquaintances about my blog because I choose to keep some things private from them. My blog, particularly the first few entries, was personal to my family and there are some things you don't want everyone to know about. Was your wife suprised about the Blog? I really love to see Daddy Blogs. What made you start one? I would be knocked for 6 if my other half started one, but I think that it's such a lovely thing to do! I am very open about my blog, but I'm very selective about what I choose to post. There are days where I know I could write a killer post about a family member or coworker or something that would just be airing a little too much dirty laundry. I have a separate Facebook for non IRL friends but so far only actual friends have "Liked" it. My Twitter is open to anyone but I don't get AS personal on it as I do on my private Facebook. My friends are supportive mostly - I know some don't read and that's upsetting - but that's their choice. Enjoying your blog and happy to have found it! I think it is great that you are comfortable enough to share your blog with friends and family. If I was brave enough I think I would...but for now I shall hide in my cyber closet! Have they all been supportive? Hi Vikki, Thank's so much for your comment, and the blog compliemts *blushes*. It has been a real eye opener knowing that I am not the only one that keeps the Blog on the low. Yeah that's exactly what I thought. We pretty much bare all online to people we form an online relationship with...but I think it is different to share it with friends and family? Ive only just stumbled across your blog via twitter and this is the first post ive read. Ive put my blog on my personal fb page and family and friends can read if they want. Ive nothing to hide and feel that i am entitled to my opinion and my choices in life, even if they dont like reading it. I do get your reasons for not sharing with family, but for me i am wanting to spread awareness about my sons syndrome and our daily struggles, and to be honest i hope my family and friends do read do that they too gain awareness and can maybe realise what i go through. Evening, thanks very much for commenting and providing another opinion, it is appreciated. I think it is great that you are raising awareness, what better way to do it! It is really a great way to get all your feelings out in the open. Only my OH knows about my blog but he doesn't really read it... well not that i know of!! Lol :D I post about it on Twitter but I don't really have any followers that are family, I have a few friends on there but they haven't mentioned anything to me. I might tell them when it's a little more advanced but until then its my little secret!! Hey lovely! Thanks for taking the time to comment. Was your other half surprised that you had decided to start a blog? I wonder if your freinds have had a sneak peak! hehe...There is only one person I actually know on my followers list! I think you got it in one earlier lovely, It is a really good way to vent! Let all your feelings out and then also have it to reflect on later. It is a real eye opener to know that lots of Mummy bloggers keep their blogs quiet. 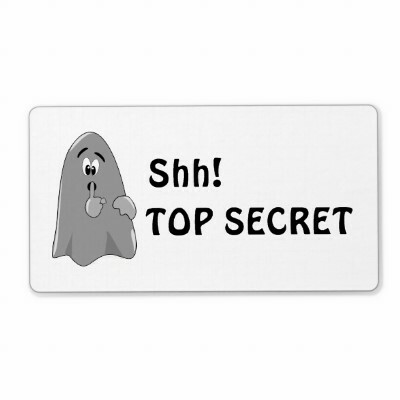 I used to keep my secret, but now everyone knows and to be honest I don't know why I kept it a secret as it's not like I'm telling anyone anything that they couldn't see on FB or Twitter anyway! What kind of response did you get when you went open? Glad to know that I'm not the only blogger in the closet. My OH doesn't know (even though one of my kids kinda does!). The only people that know are 3 friends and one of them I inspired to blog herself. I have seperate twitter and FB accounts and a seperate email address for the blog! Nope you are not the Blogger hiding away in the closet! I am amazed at how many of us actually do keep them on the low. It is kind of re-assuring. My blog was secret to start with. A couple of people knew I was writing one but I didn't share any details with them and they didn't ask. BabyDaddy knew about it and where it was but didn't want to invade my privacy. I did pass him my phone after I'd written the One Born post about him (and he shed a little tear) but he's never asked to see anything else, and I really appreciate that. I have a twitter account for my blog and one for me, but at some point I'd added a couple of Mum-types on my own account and shared my blog with one of them. My brother saw the link and later sent me a tweet telling me how good he thought my writing was and that I should do more of it. I was really pleased and didn't mind that he'd read it (I also didn't think he'd read it that regularly so I didn't feel as though it would be a problem). Then, somehow, a few other people told me they'd read it - probably also through that Twitter slip - and eventually I shared a link on my personal Facebook as I needed some help with something. I regret that now as I miss the anonymity. I know there are people who read it who I would really like to talk about sometimes, but at least it reminds me to be careful what I say. It does feel strange knowing that my family read it and sometimes I worry that they'll judge the things I decide for Ted, or that the topics I write about are silly, or that because I have strong opinions I might offend them, but then I tell myself that they're the same as any of my other readers - they can choose to close the page if they don't like it! Thank you so much for posting :-) I hope you and Ted are both well! Maybe the leak was a good thing? I can see both sides of the coin really. As I think it would be nice to share the link but at the same time I do like the freedom of not having friends and family reading. Maybe one day! Like you said they can just close the page down! At the end of the day lovely, your blog is your own personal space. If they wish to step into that space then they have to accept your opinions. Especially in regards to Ted. Mummy knows best! I have just started blogging and was debating about the same thing. Should I share with my friends and family or not. So far I haven't as it might change my writing style. My husband knows but doesn't really have the time to read my blog so I think this suits me fine for now.